Safari will no longer tells websites that common legacy plug-ins like Flash and Silverlight are installed on Macs. 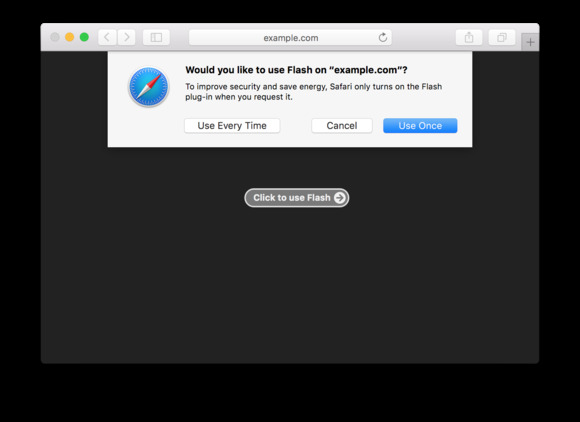 Apple’s Safari is driving another nail in the coffin of Adobe Flash by no longer telling websites that offer both Flash and HTML5 that the plug-in is installed on users’ Macs. When Safari 10, the new version of its browser, ships this fall with macOS Sierra, it will by default behave as though common legacy plug-ins on users’ Macs are not installed, wrote Apple software engineer Ricky Mondello in a post. Google is adopting a similar strategy to promote HTML5 in Chrome by making it the default experience for websites, except for a whitelist of top 10 websites like YouTube and Facebook that use Flash.